Whether you own or rent your home, you are probably concerned about your energy use and costs. Improving your homes energy efficiency has three major benefits. It can reduce your monthly utility bill, improve your comfort, and protect the environment. 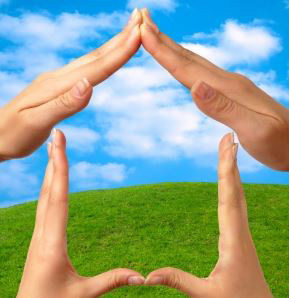 Making your home more energy efficient is the first step to a greener, healthier home. It can also help you better manage your budget. Here are five simple ways to save energy in your home. Home Heating and Cooling. Half of your homes energy use involves heating and cooling. Smart choices in heating, ventilation, and air conditioning (HVAC) can have big effects on your energy bill and comfort level. Change the air filters monthly, especially during the summer and winter months. A dirty filter can slow air flow and strain the HVAC system, which wastes energy. Annual system tune-ups can greatly improve energy efficiency. This should be done by a licensed HVAC Contractor . That said, you have choices depending on your individual filtration requirements. MERV ratings are employed to rate the ability of air conditioning filters to remove dust from the recycled air as it passes through the filter. MERV is an industry standard that is used in measuring the overall efficiency of a filter. The higher the MERV ratings is, the fewer dust particles and a variety of other airborne contaminants that can pass through the filter. These ratings range from 1 to 16 and the measurement units are microns. Common particles to be considered are pet dander, insecticide dust, smog, dust, viruses, wood, tobacco smoke, spores, bacteria and pollen. Most homes do well with a rating of 4. However, if family members suffer from allergies, a higher rating may be called for. The higher the rating the more often the filter will need to be changed. Want more HVAC information to keep your system running top-notch? Here are 5 things to know about A/C maintenance . Envelope Sealing and Insulation. When it comes to the heating and cooling outlined above, HVAC equipment with Energy Star ratings are the best energy savers. Programmable thermostats like the Honeywell RTH6350 5-2 Programmable Thermostat is another consideration. Neither of these are as effective as when you properly seal and insulate your homes envelope and ductwork. Duct insulation keeps your cooled or heated air from escaping through holes, leaks, and poor duct connections. The envelope refers to your homes exterior. This includes things like insulating exterior walls, installing radiant barrier in the attic, and installing high-efficiency windows. Energy Conservation Lighting. Lighting accounts for a large part of the energy use in your home. Smart lighting choices reduce energy consumption and utility bills. Compact fluorescent light (CFL) and LED bulbs are good choices for all of your lighting needs. Use them to replace regular, incandescent bulbs or halogen bulbs, both of which channel energy into heat. Consider using timers on your indoor lights to keep them turned off during the day. Motion detector lights work well for outdoor lighting. Use fluorescent tubes for your garage or workshop. 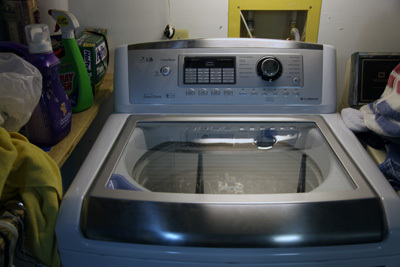 Energy Star Appliances. Your vintage home appliances use a lot of energy. Replace your old models with Energy Star appliances that have power-save switches. Make wise choices when you use your appliances. For example, wash full loads of laundry or dishes, and heat your small meals in a microwave oven. Although the price tags are higher than non-Energy Star appliances, there are two distinct ways they save money. First, they save on utility bills, including water, electricity, and natural gas. Secondly, many of them qualify for an energy tax credit the next time you file your federal income taxes. Home Security. Your home security system is another way to save energy in your home. In addition to the usual home security services, many companies offer energy management services. Contact your security company to find out how your system can help you to energy. Many residential security companies today allow you to change settings remotely using your smart phone. These functions may include remote functionality like adjusting the thermostat and turning lights on and off. To ensure enough energy for the future, you must use it wisely now. A few smart choices can help you do just that. Make your home energy efficient and you can lessen the environmental impact, improve your comfort, and save money in the process.